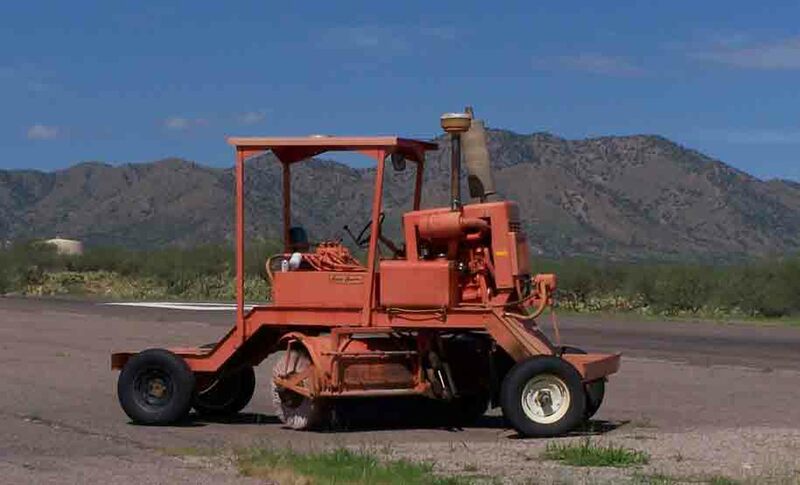 The Ruby Star Airpark Property Owner’s Association owns a sweeper and a backhoe (second photo). 1) The primary use of the backhoe is for Association work and that work shall take precedence over work of individual property owners. 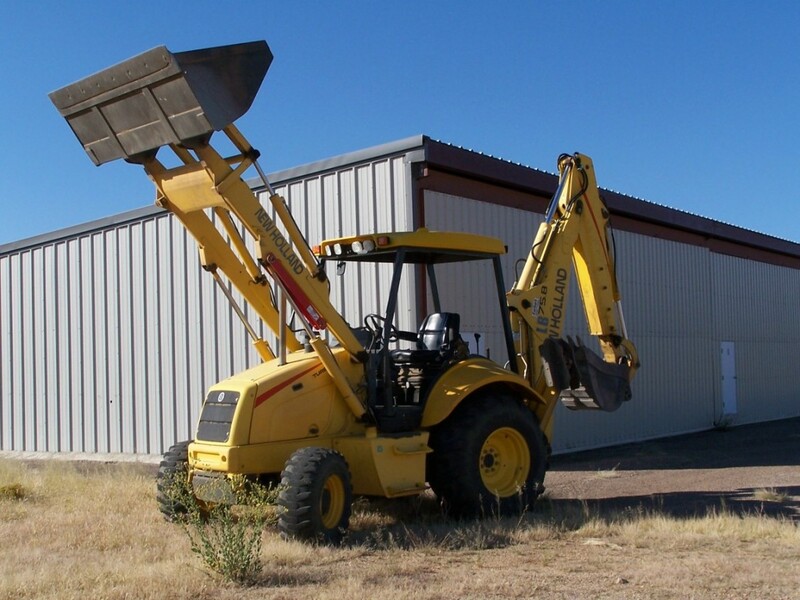 The backhoe is not to be used by a member outside the Ruby Star Airpark premises unless specifically authorized by the board. 2) Those persons authorized to operate the backhoe are to be appointed by a majority vote of the RSAPOA Board of Directors. Insurance will be acquired by the Association and an equitable percentage of that cost built into the member rate. 4) Individual property owners renting the backhoe must relinquish its use should the RSAPOA develop a concurrent need for the backhoe. 5) Individual property owners renting the backhoe must sign a release waiver prior to its use. 6) The backhoe operators are responsible for daily maintenance checks of the equipment. 7) The RSAPOA will contract and pay for normal periodic maintenance required as indicated in the operator’s manual. 8) Property owners renting the backhoe will be responsible for any damage done to the backhoe or their property during the time they are renting the backhoe.